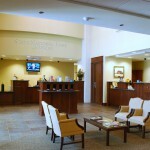 Phasing is often the most critical element with a commercial bank where time is money. 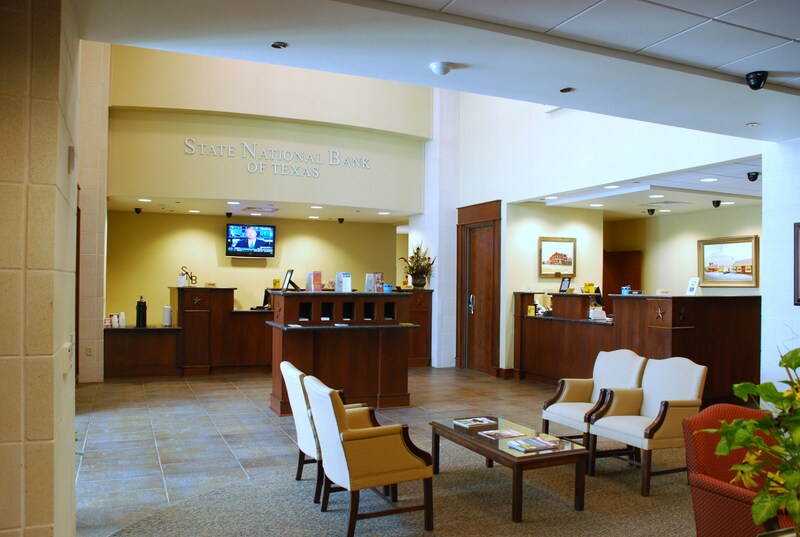 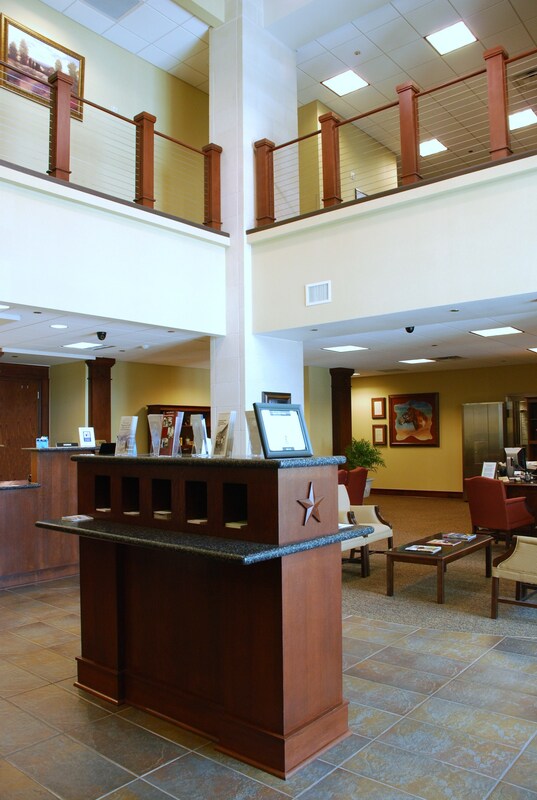 This is the case with the 10,912 square foot State National Bank. 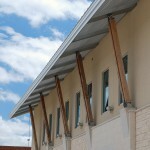 This innovative design allowed for a two-phase construction process. 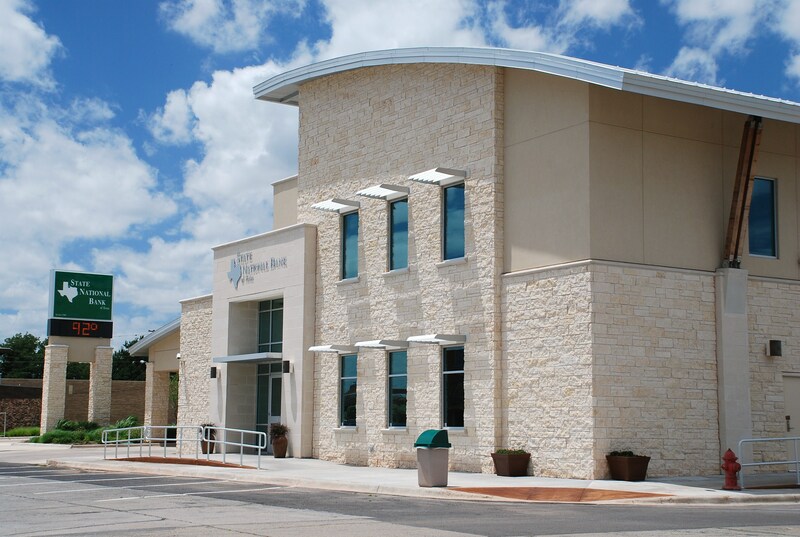 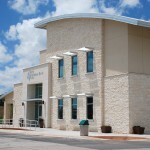 The first phase included construction of a new building with a temporary drive through window. 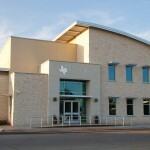 The second phase demolished the original building and constructed a new drive through on the same location tied to the first phase. 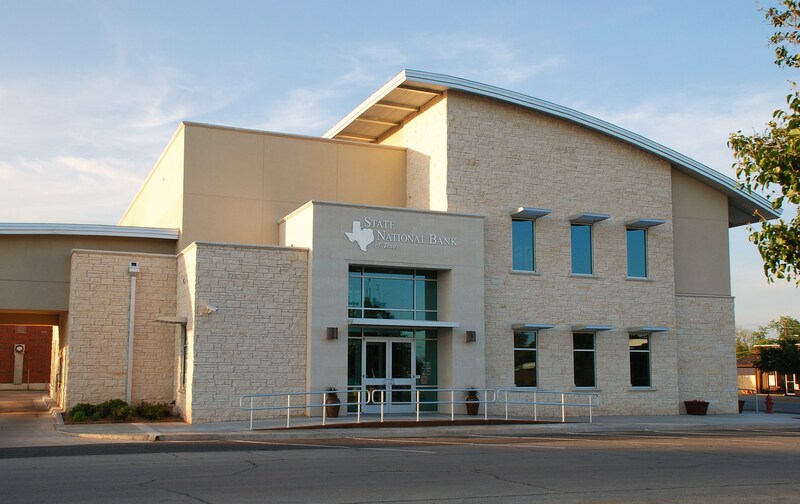 The exterior façade which features native Texas limestone with a contemporary form, symbolizes the bank’s historic past with its vision for the future. 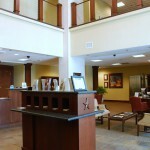 The interior design concept also reflects this strong relationship between the past and future.